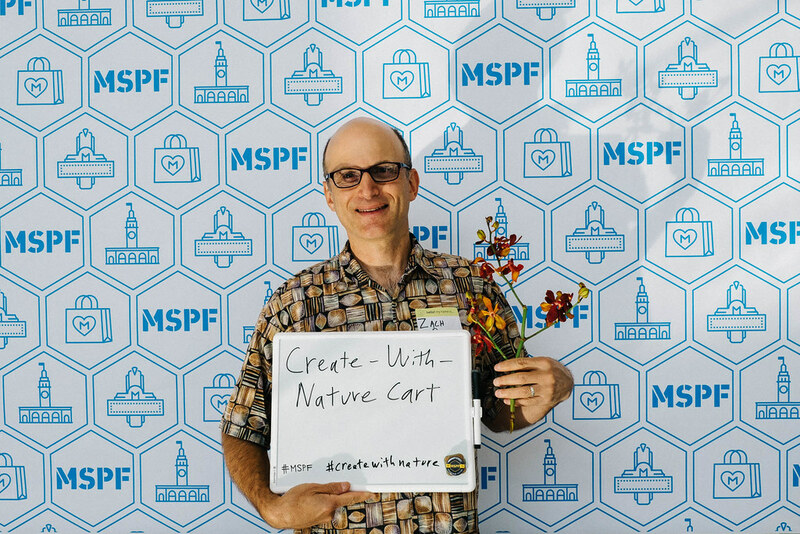 Create-with-Nature Cart. 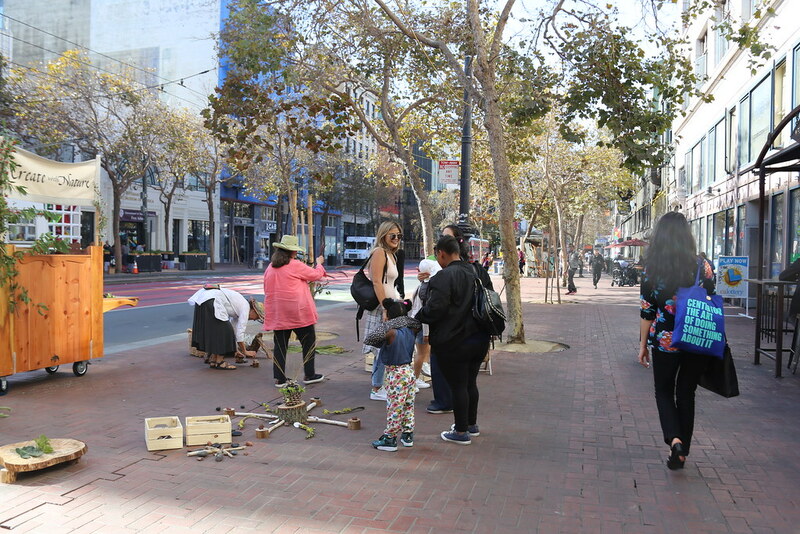 Photo courtesy of the project team. 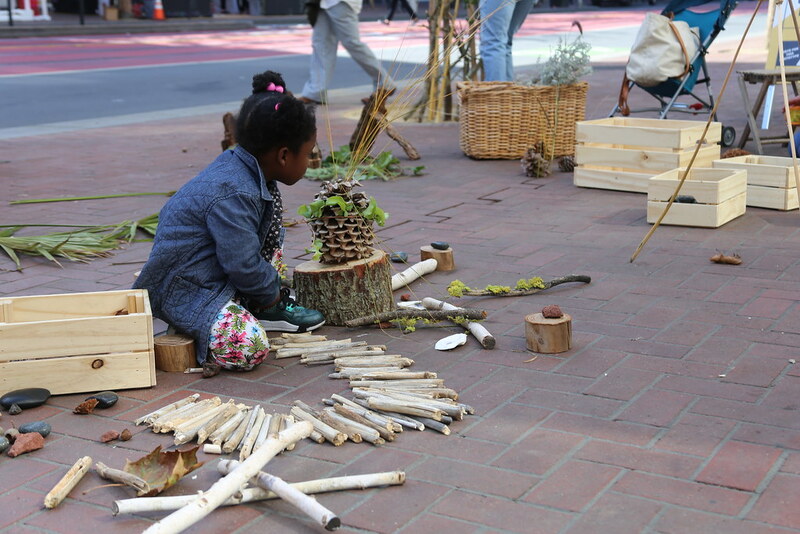 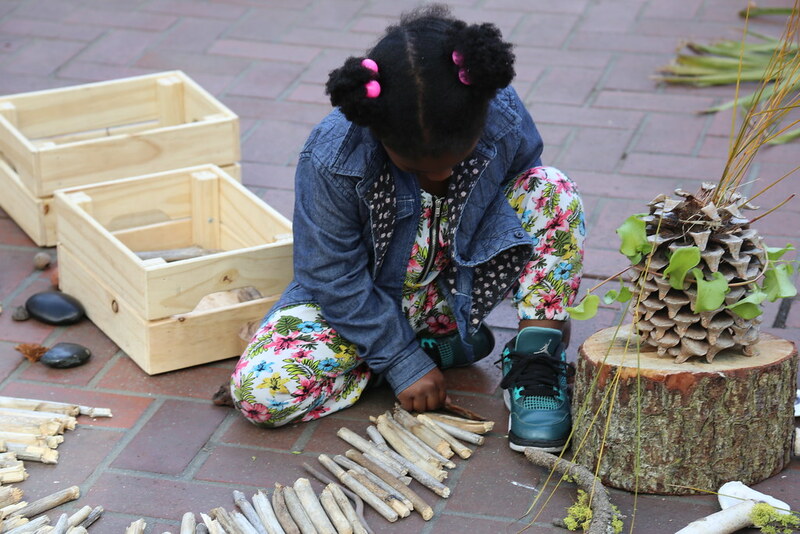 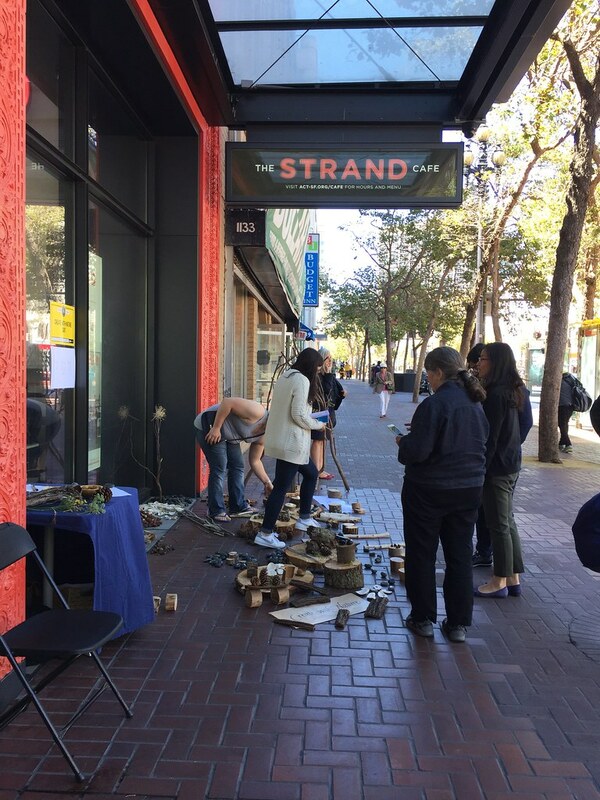 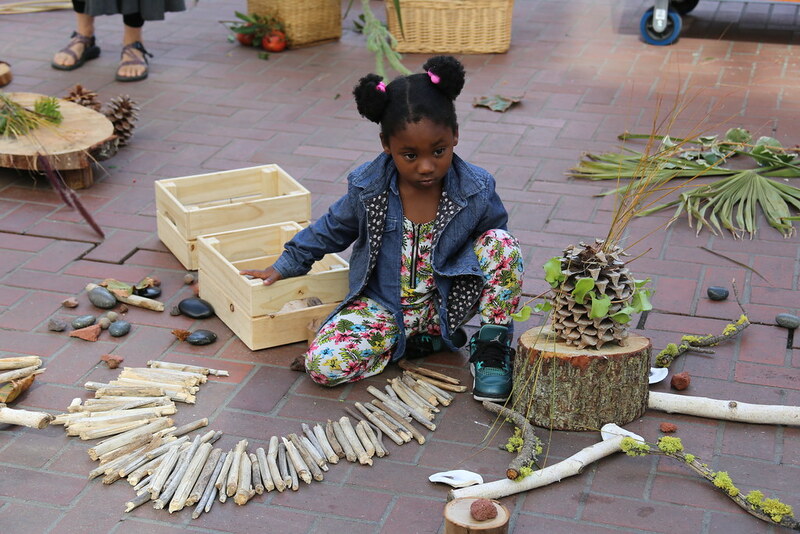 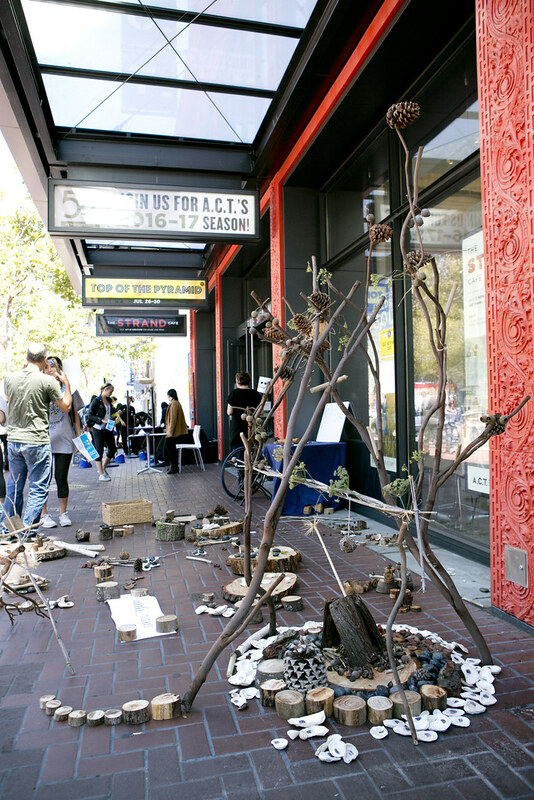 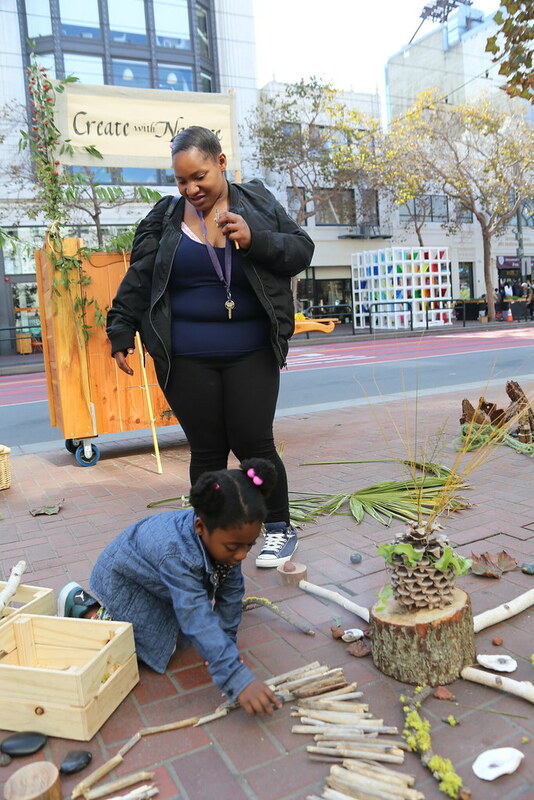 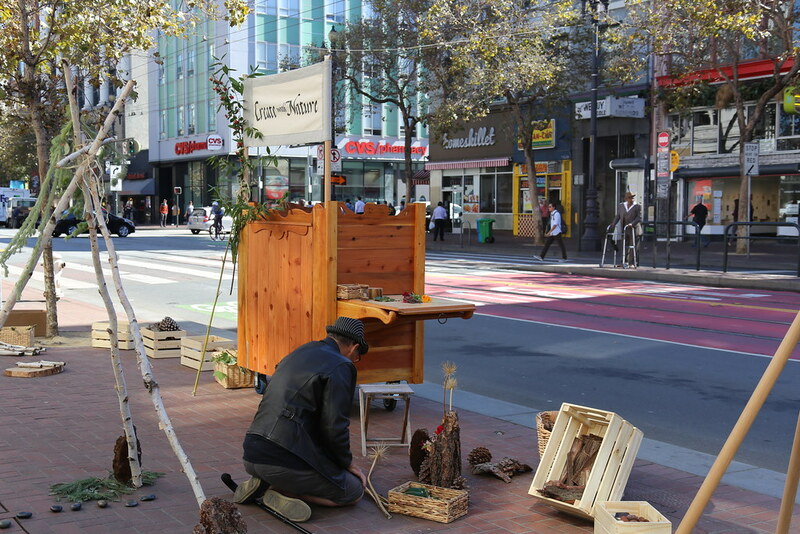 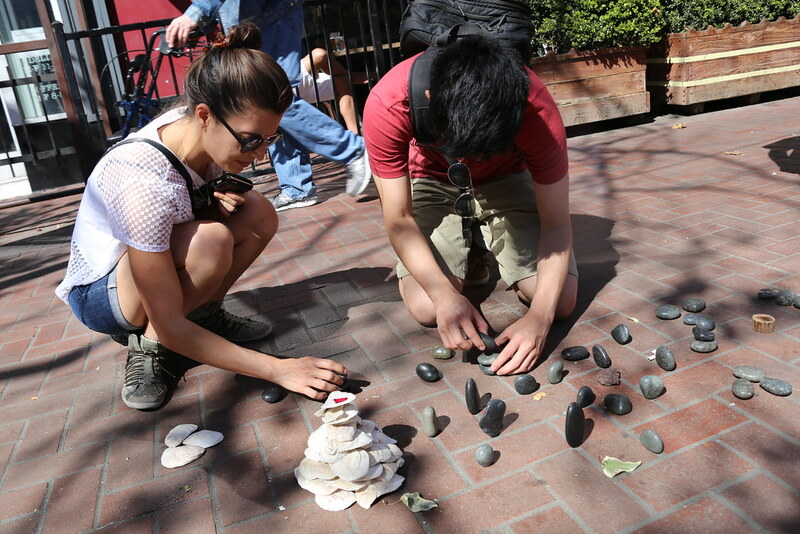 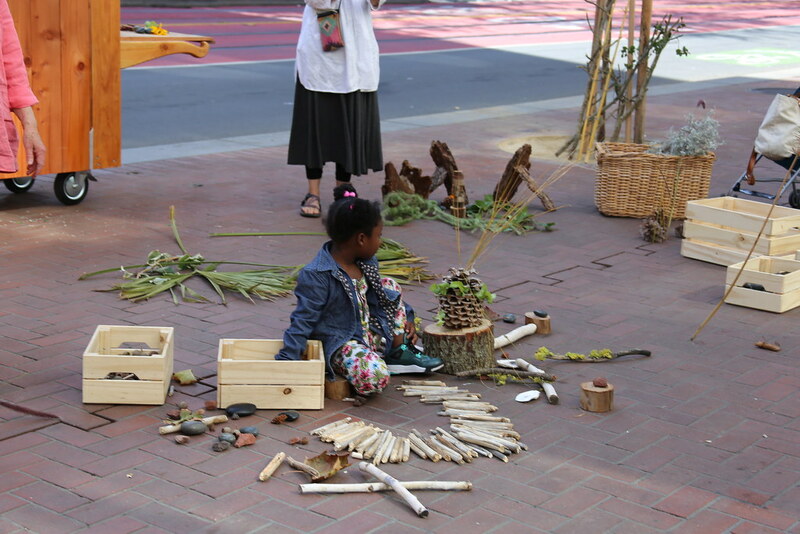 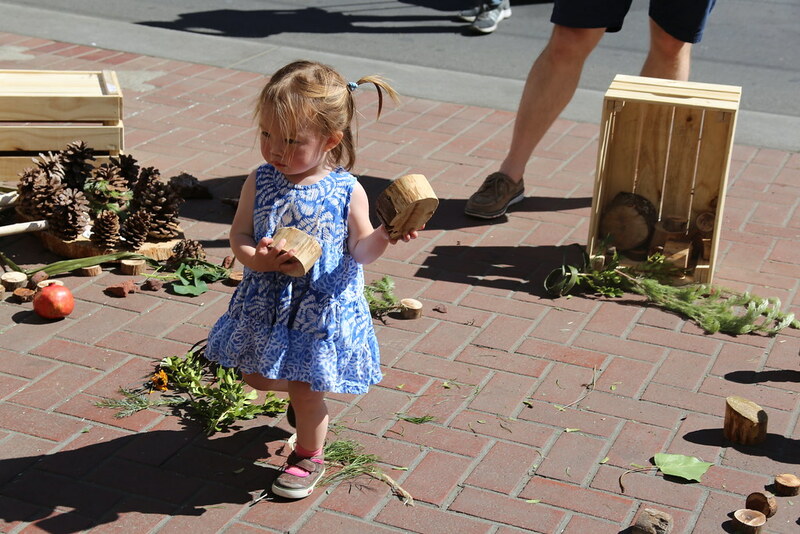 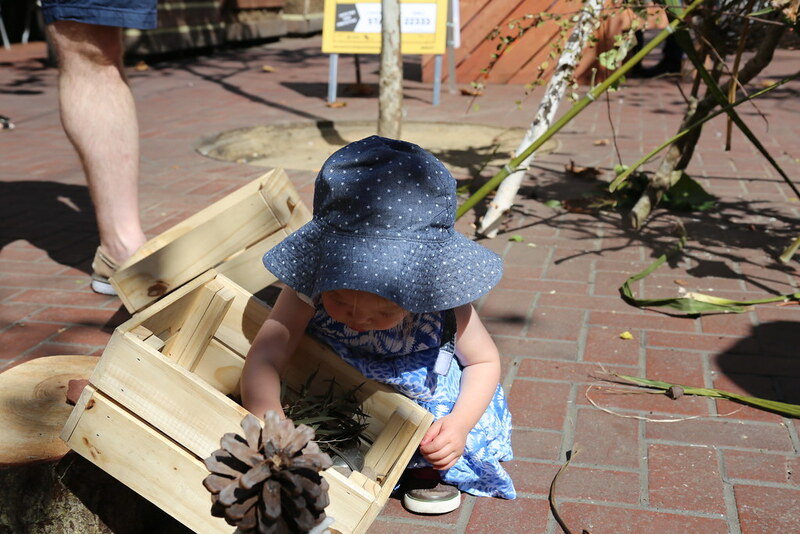 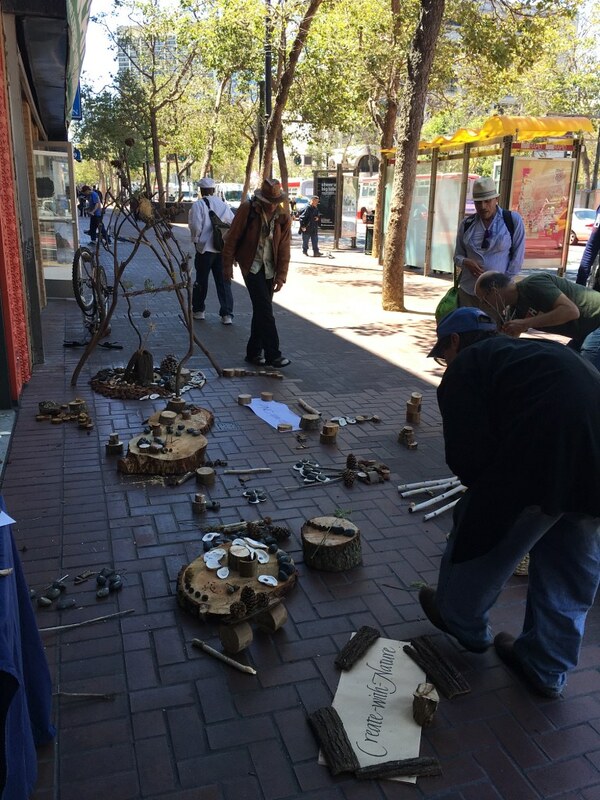 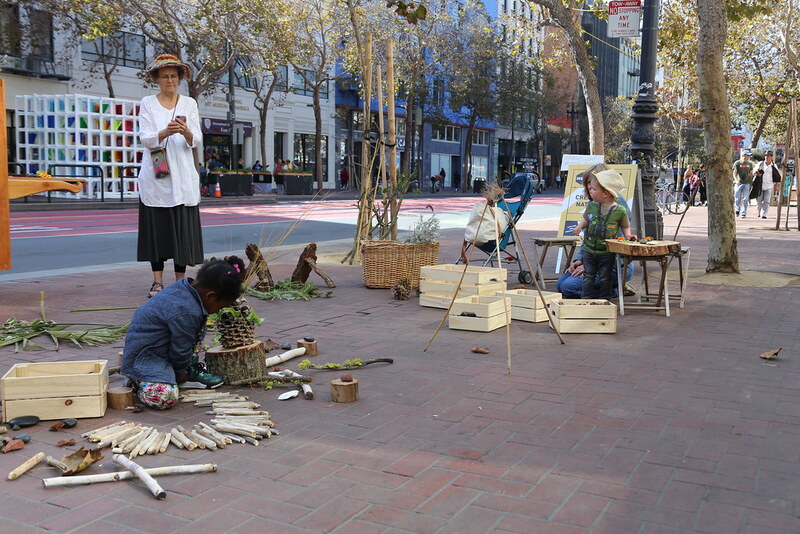 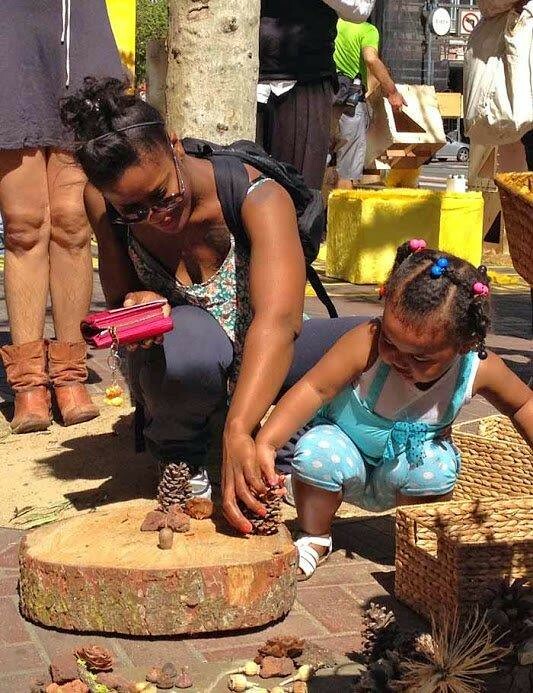 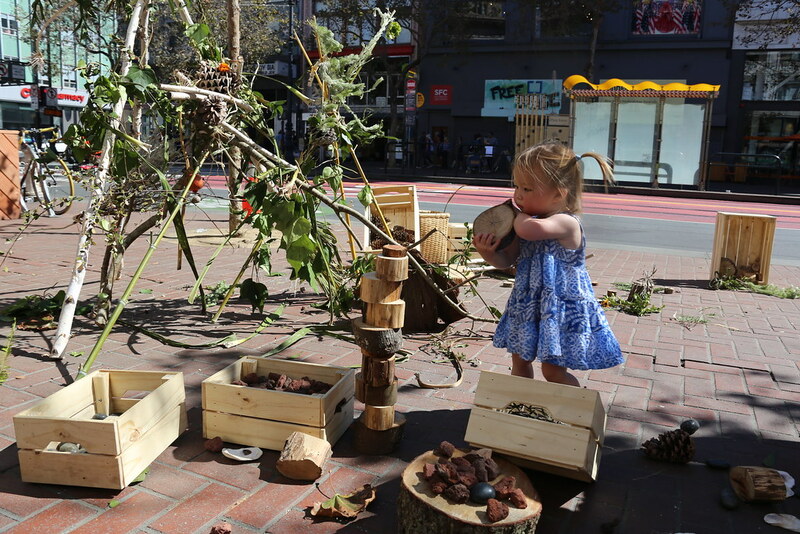 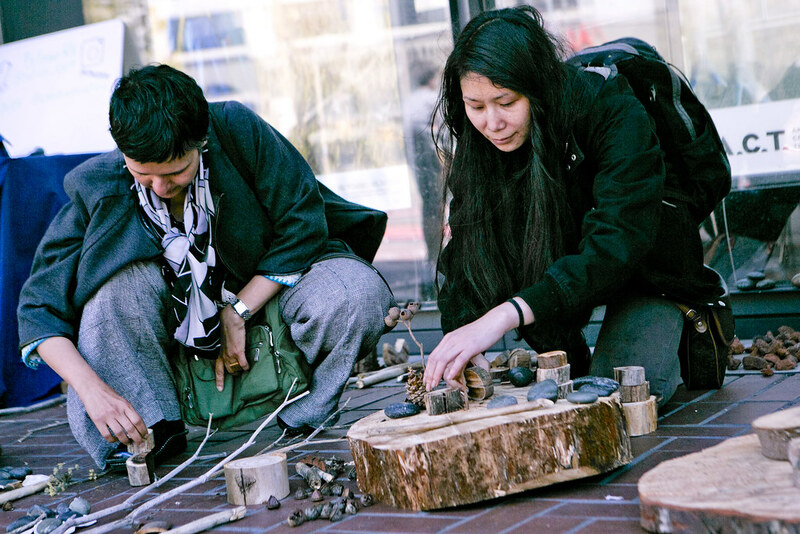 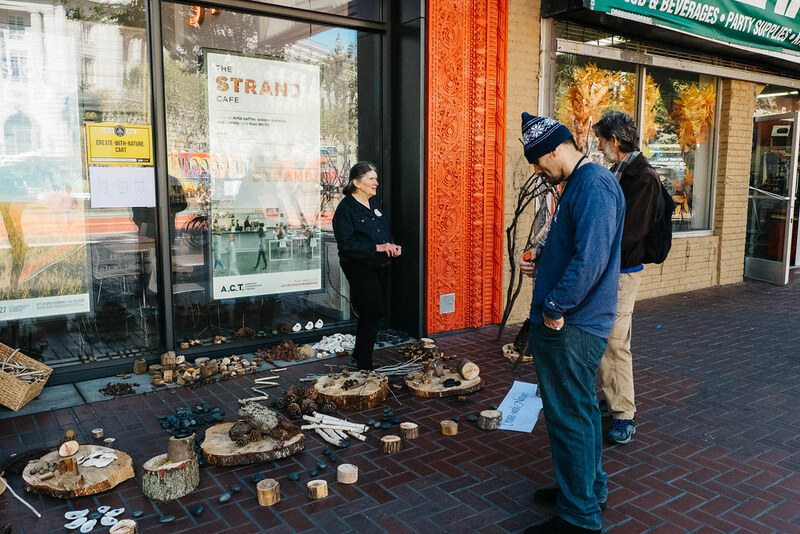 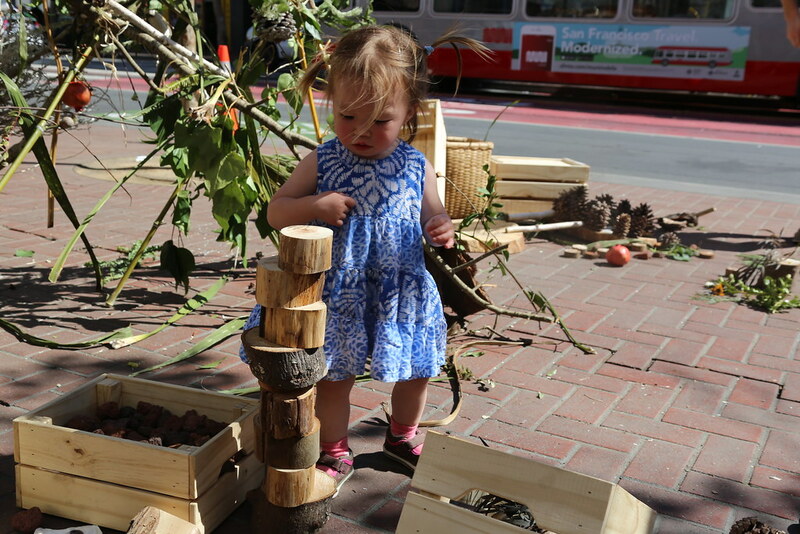 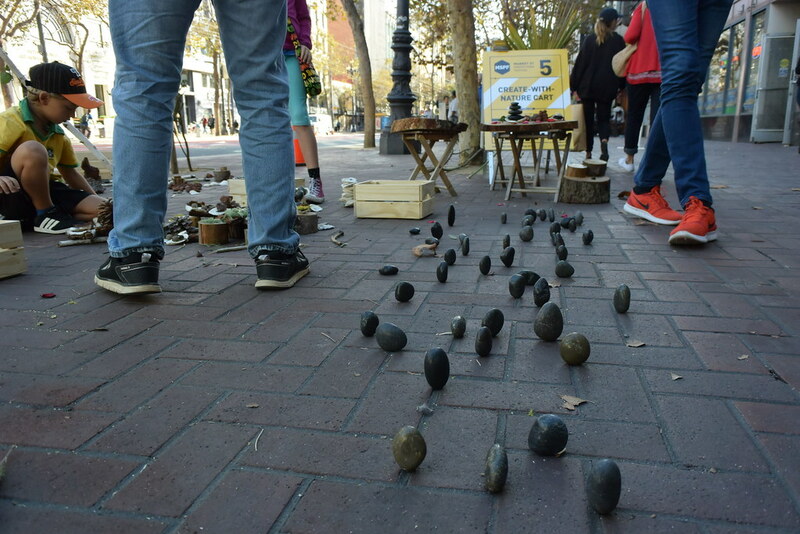 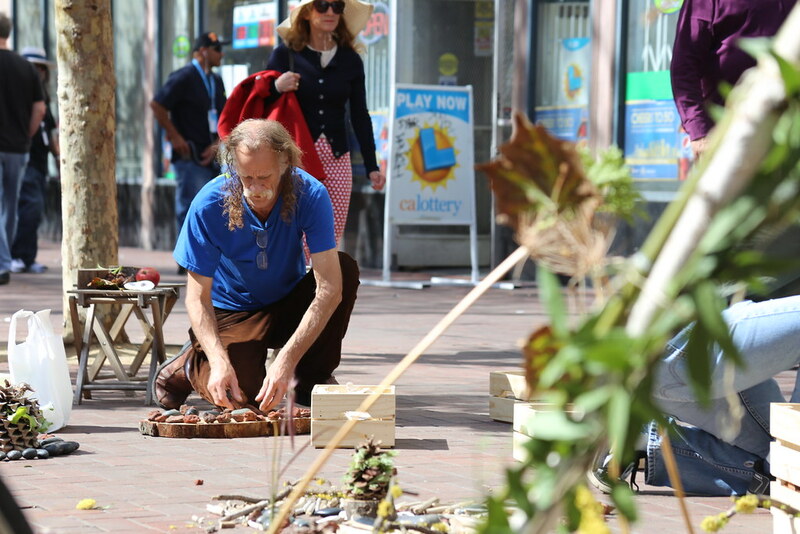 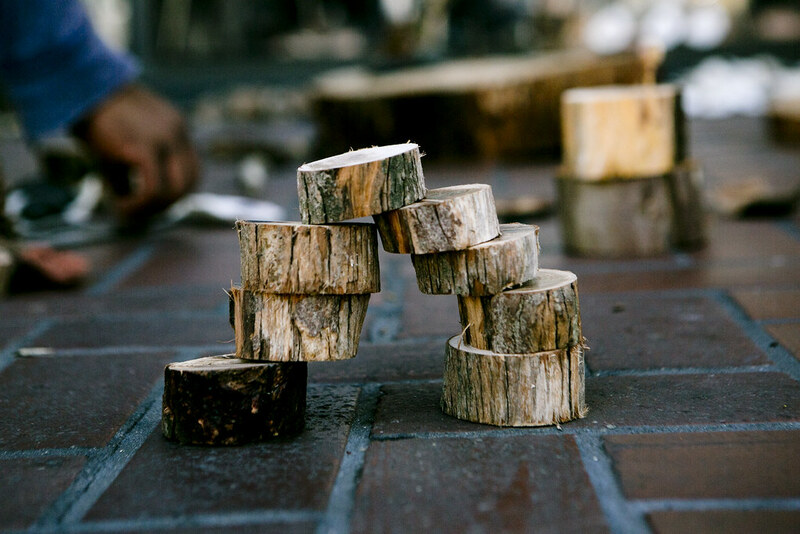 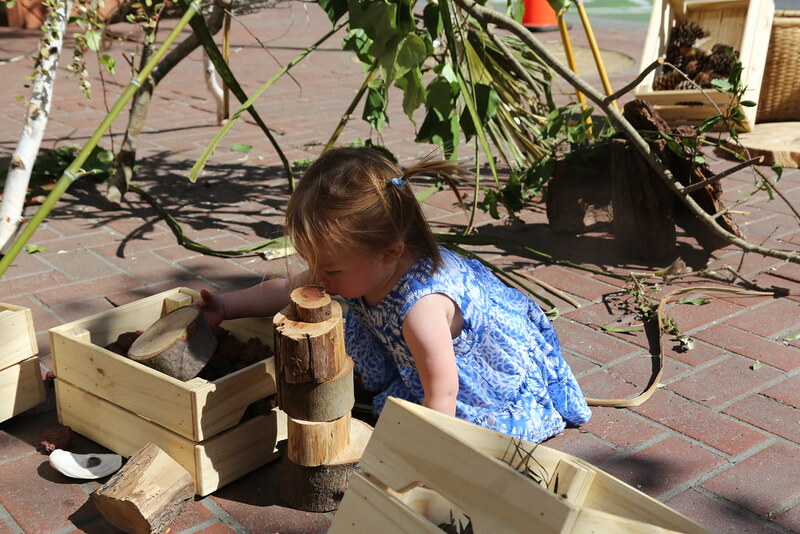 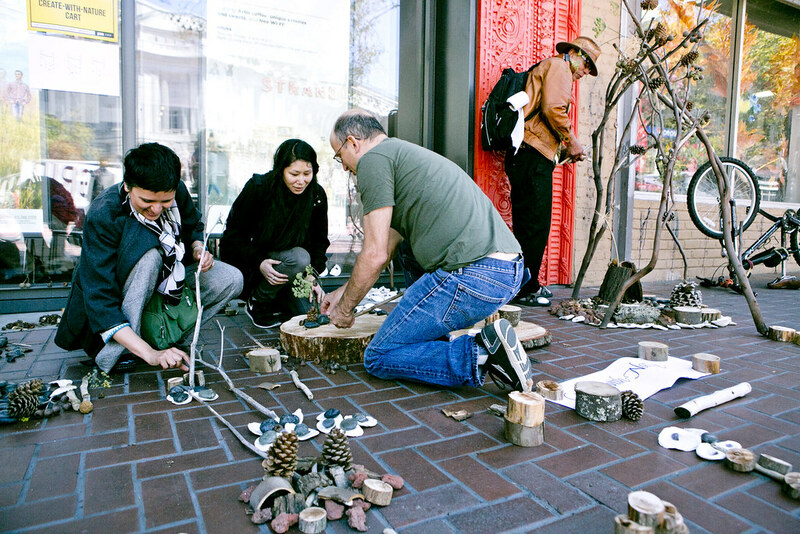 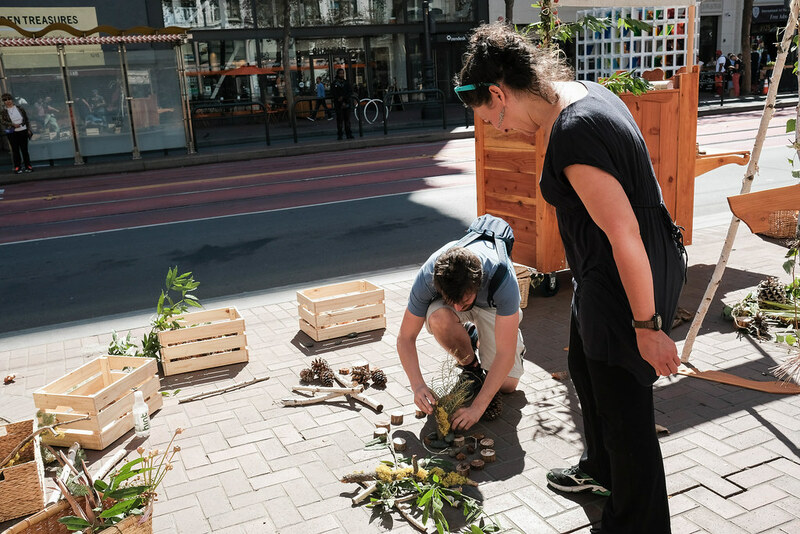 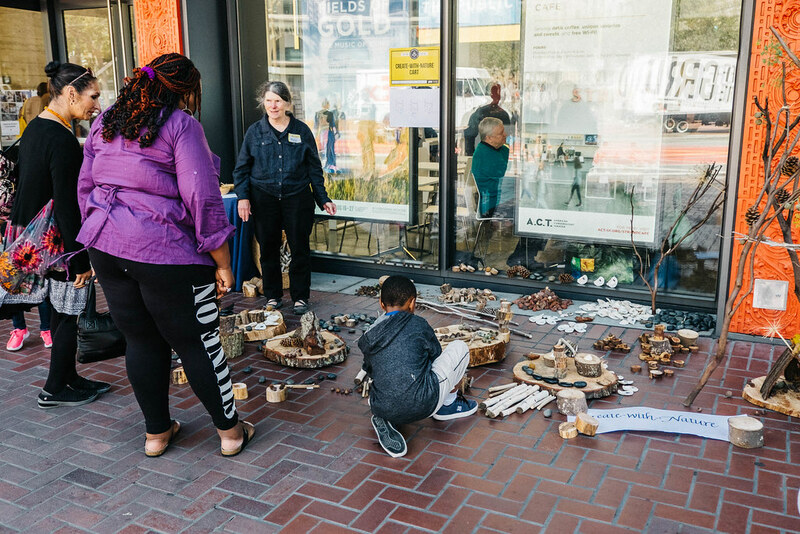 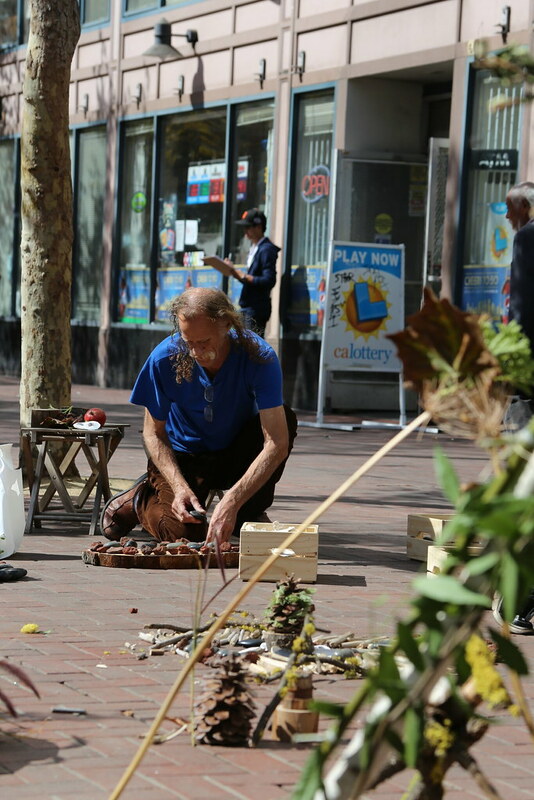 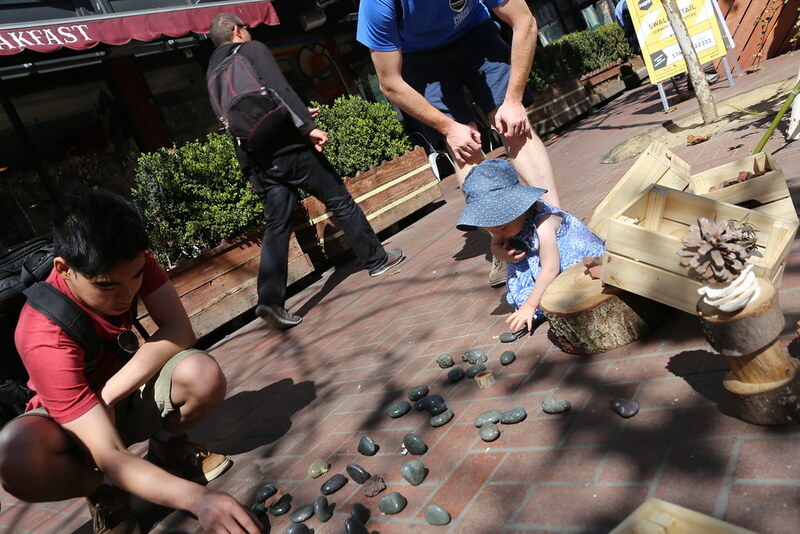 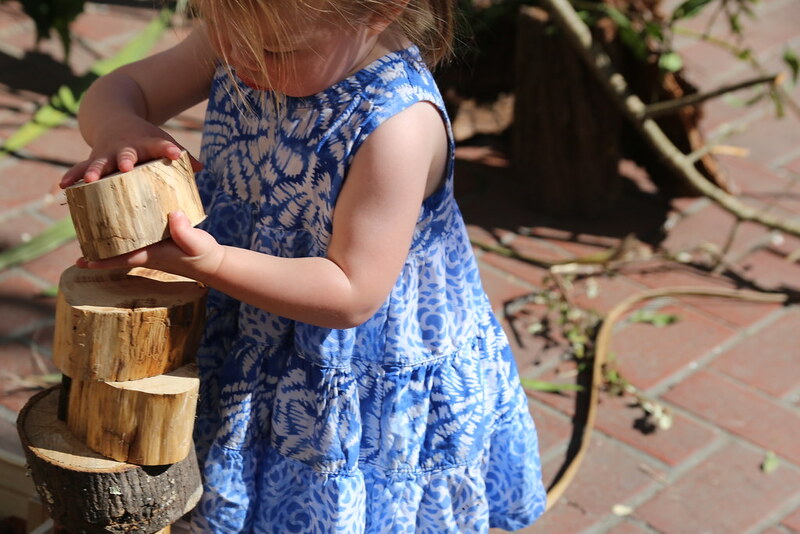 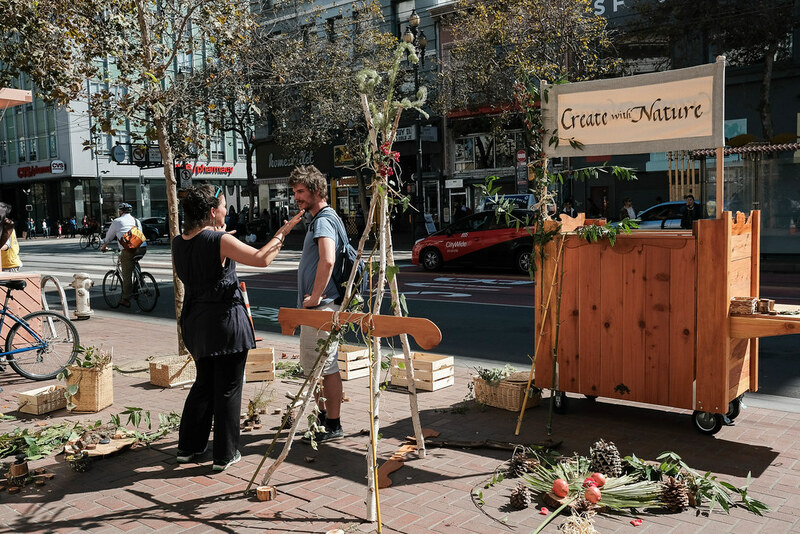 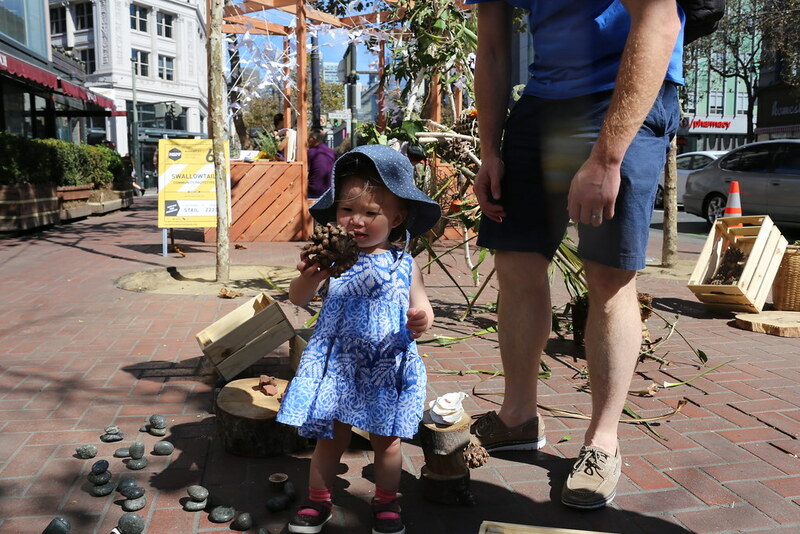 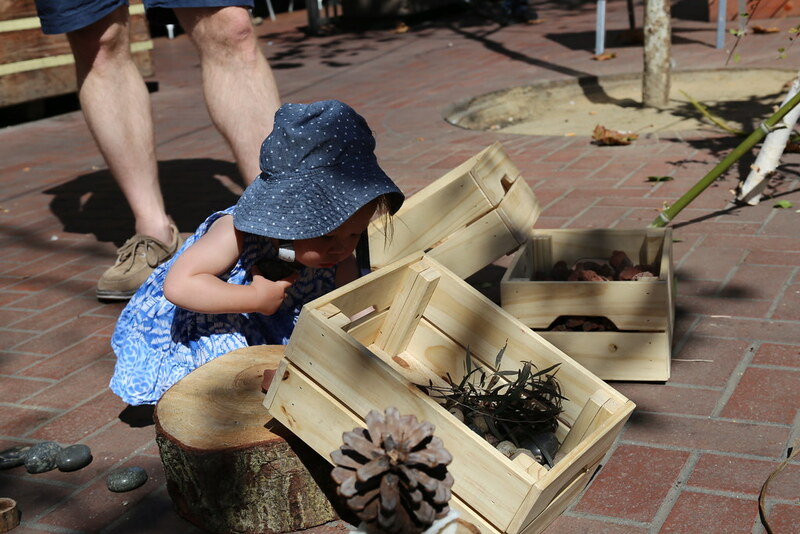 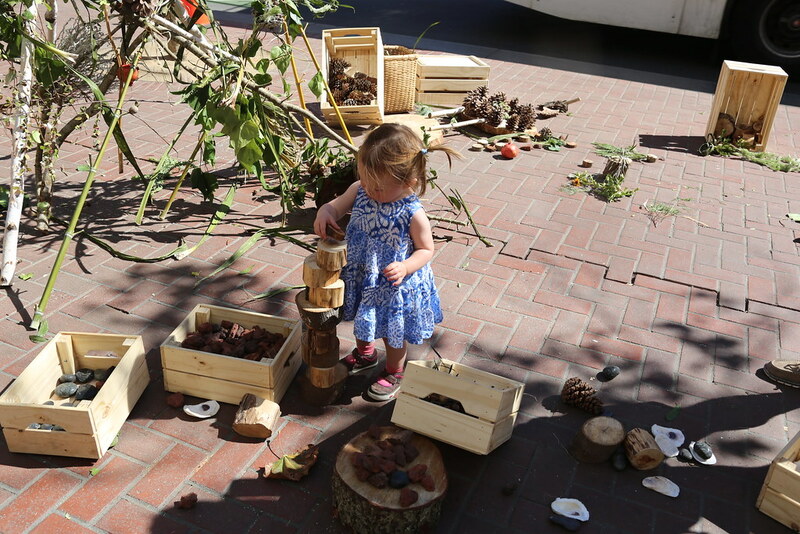 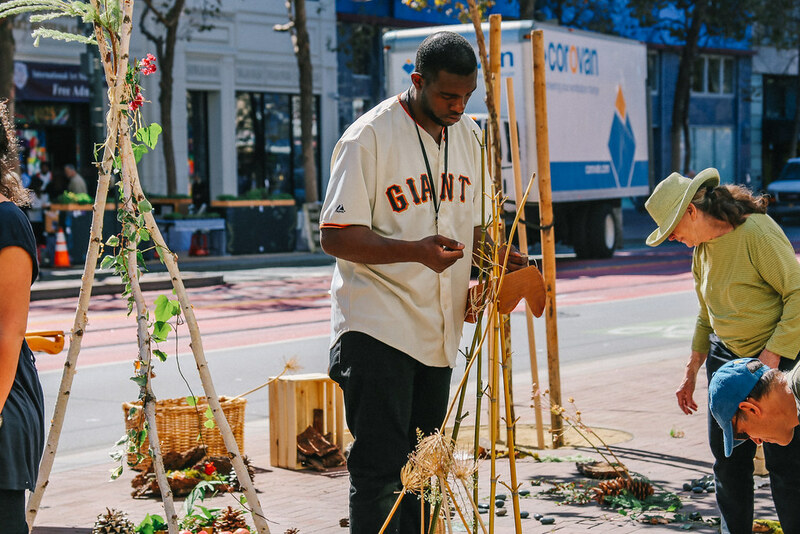 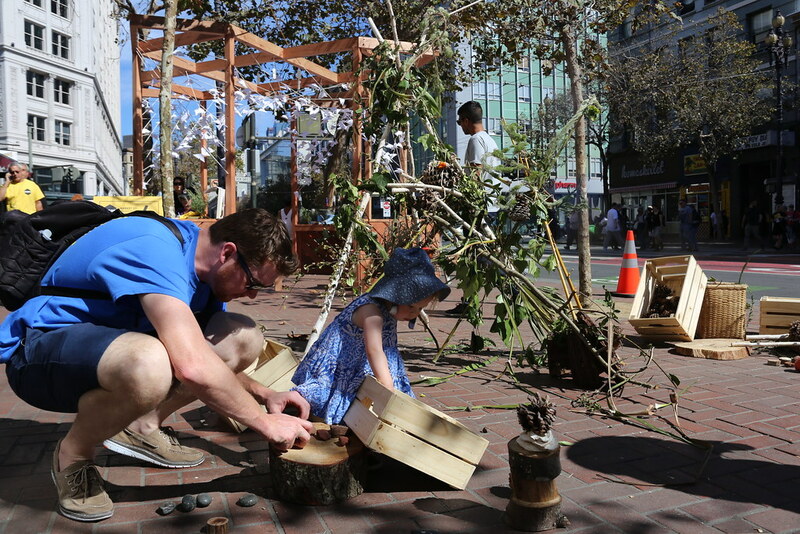 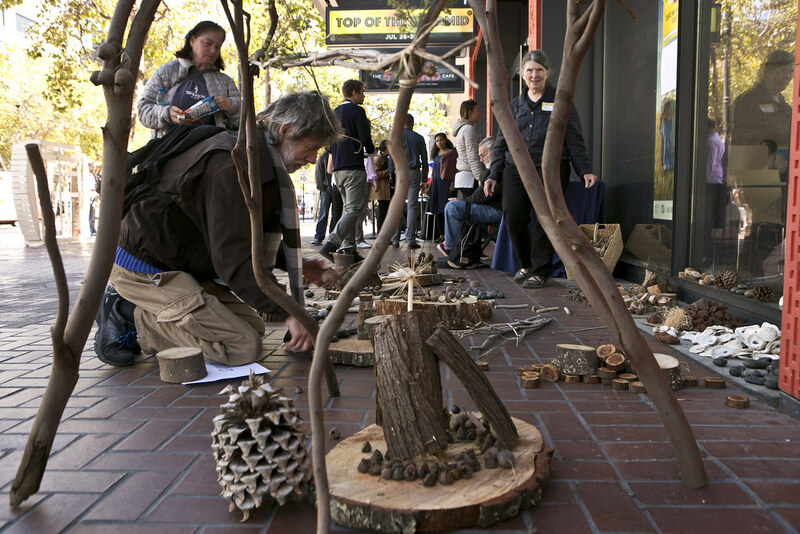 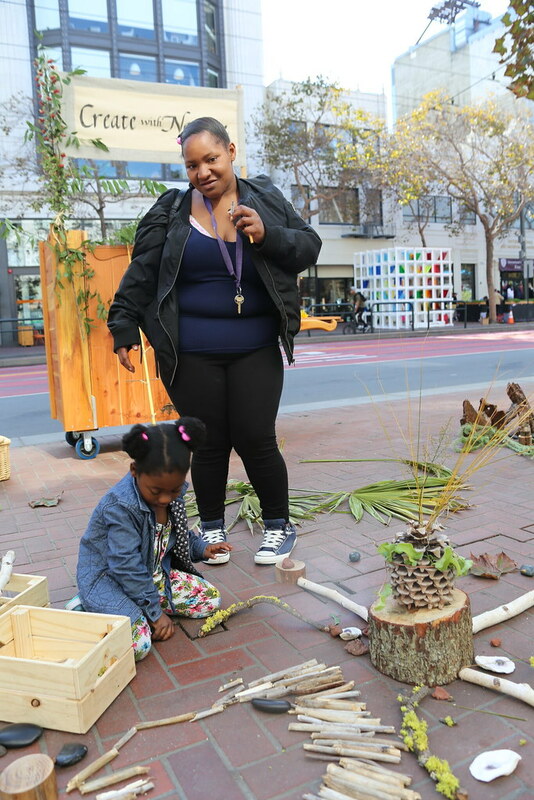 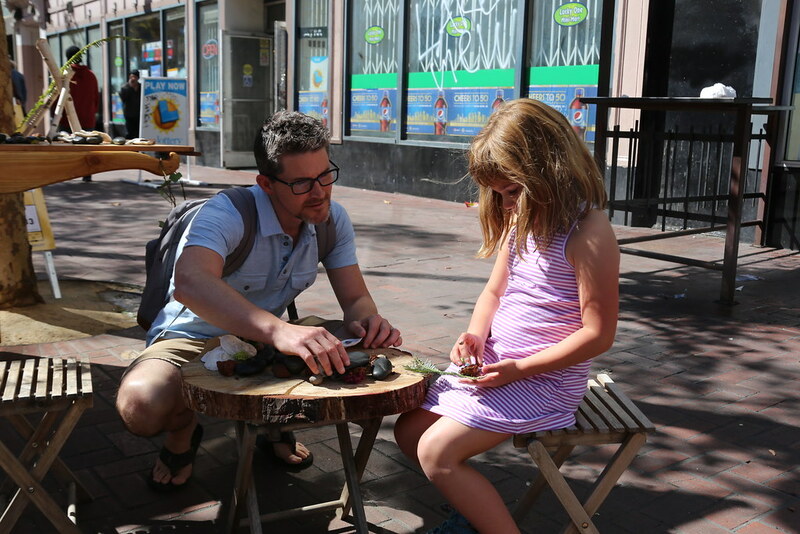 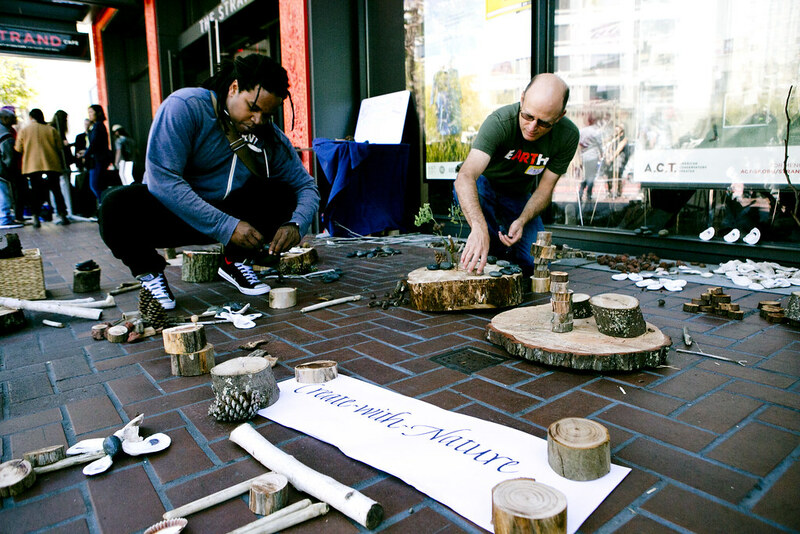 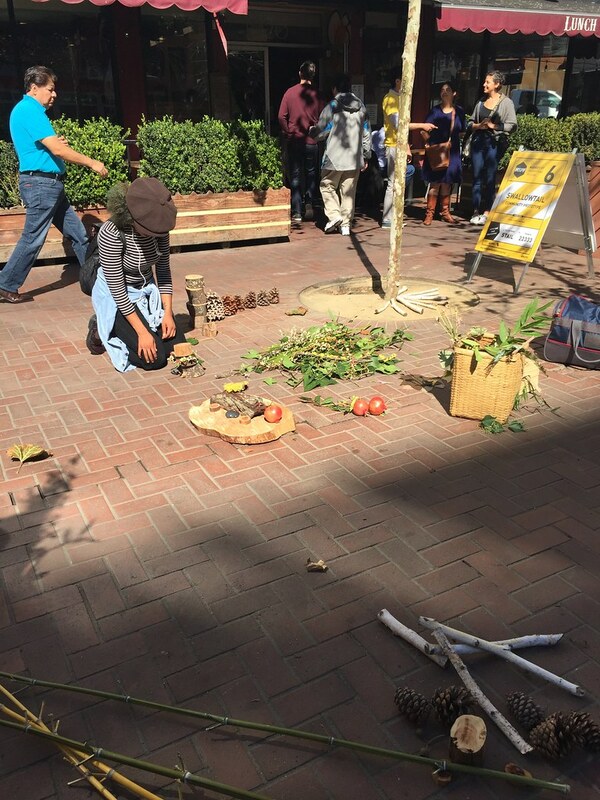 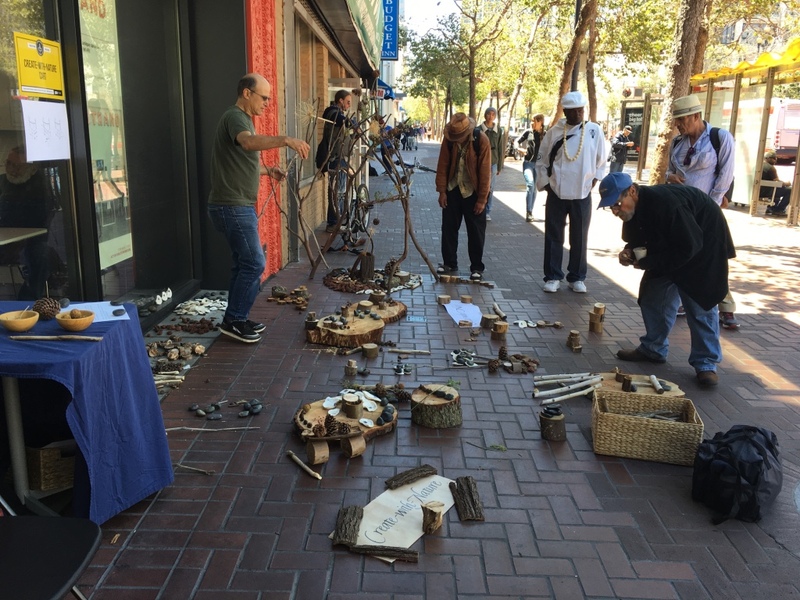 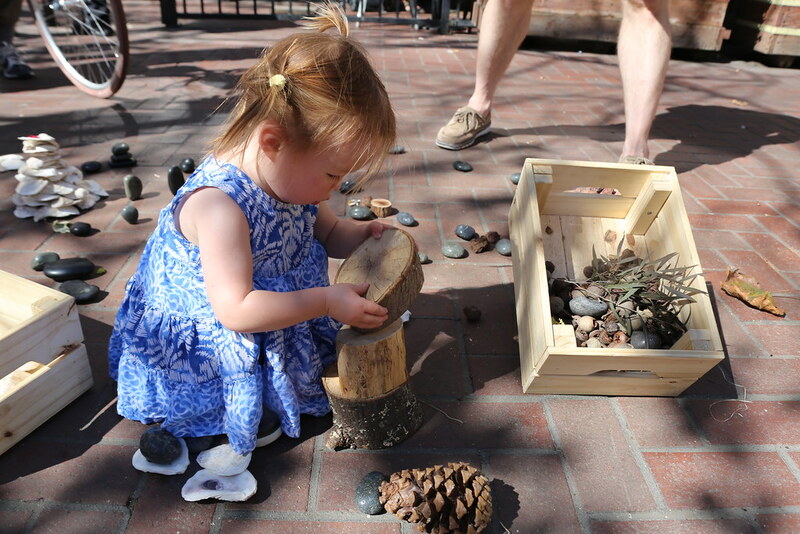 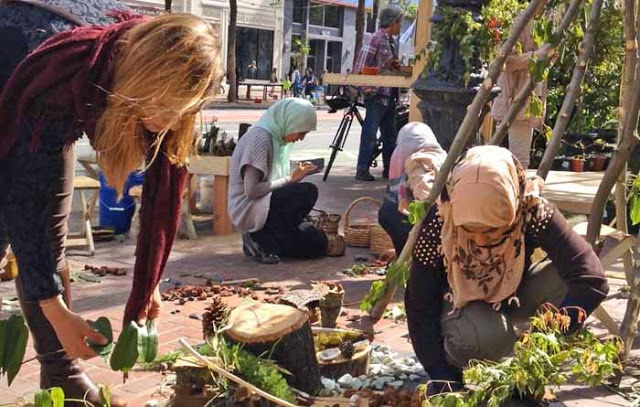 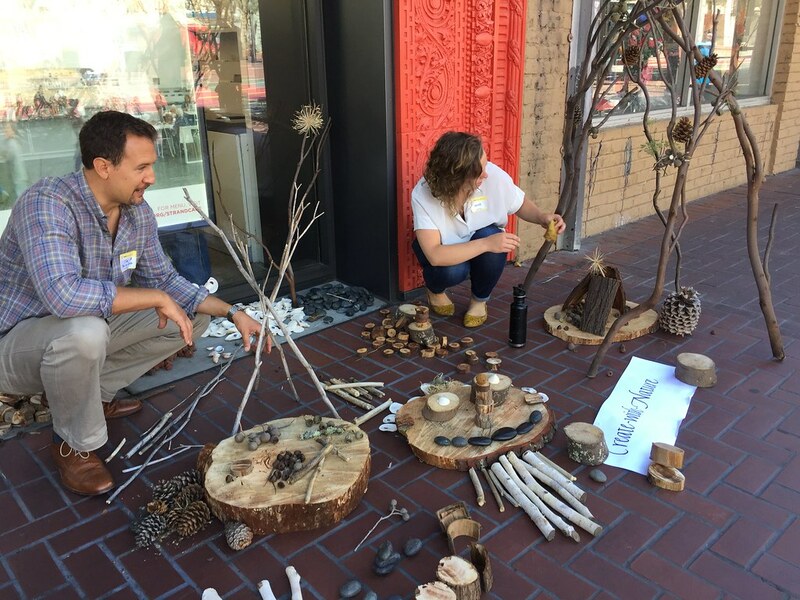 The Create-With-Nature Cart will serve as a portable oasis for the public of all ages to collaboratively create ephemeral sculptures using enticing and durable natural materials. 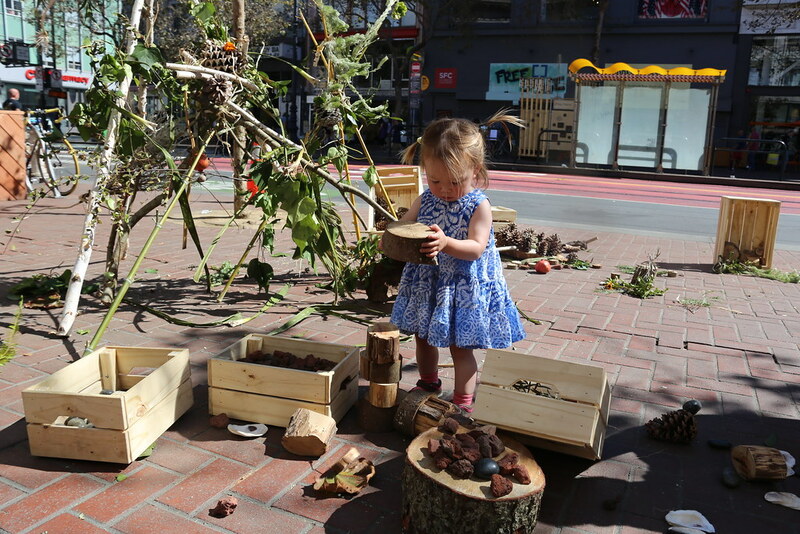 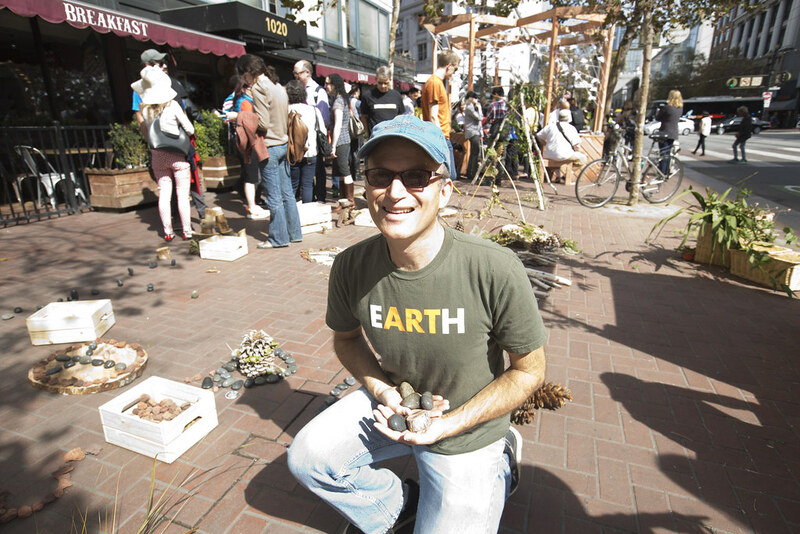 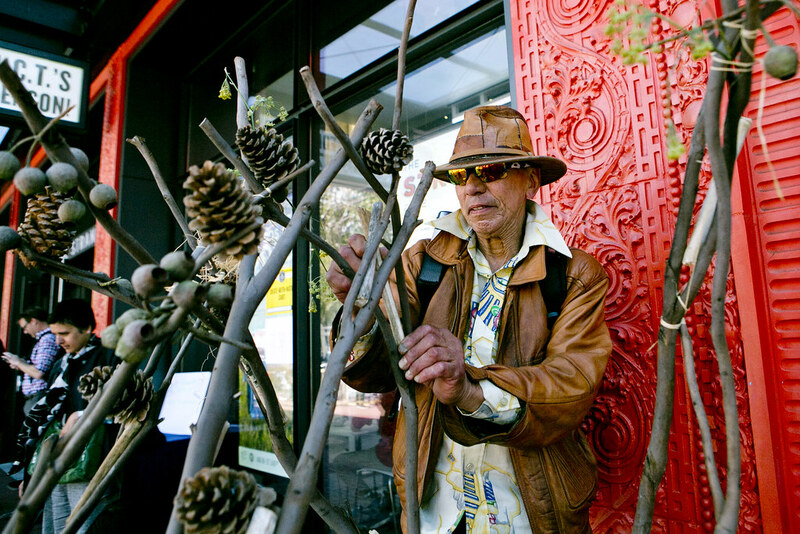 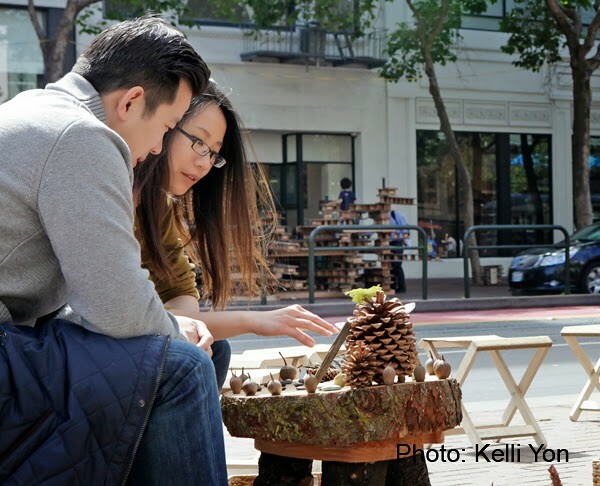 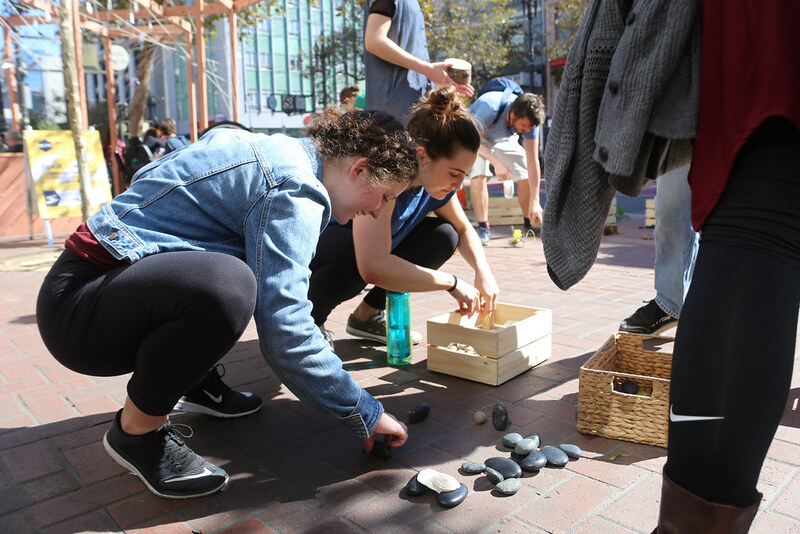 The project is a replicable model for bringing nature to city dwellers in a way that promotes not only connection with the natural world, but also the human connections that bring vibrancy and health. 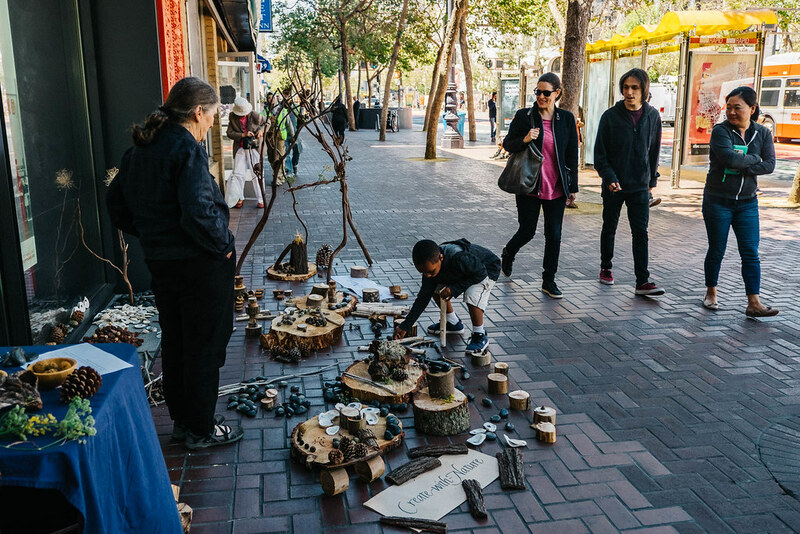 Central Market Street is a place in flux, filled with people from diverse backgrounds, sometimes in conflict. 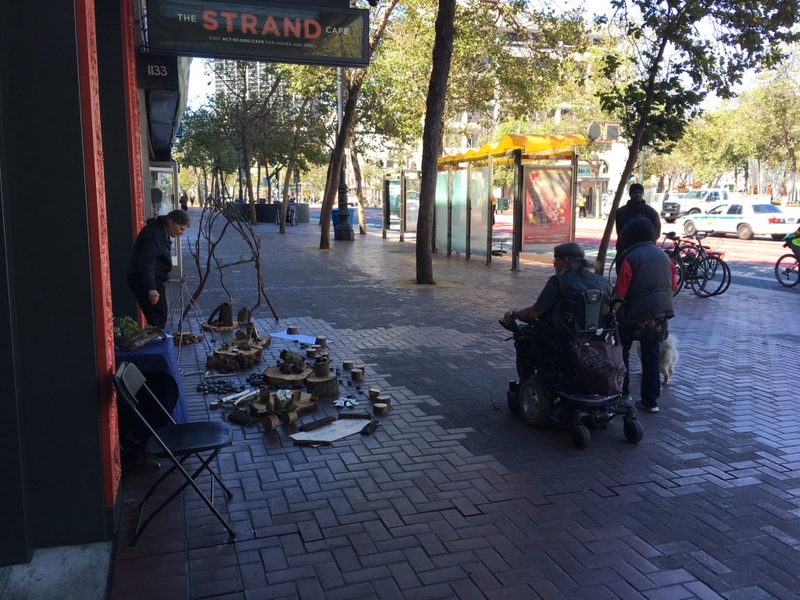 There is the stress of homelessness and housing insecurity for some, and there is the competitive tech industry for others. 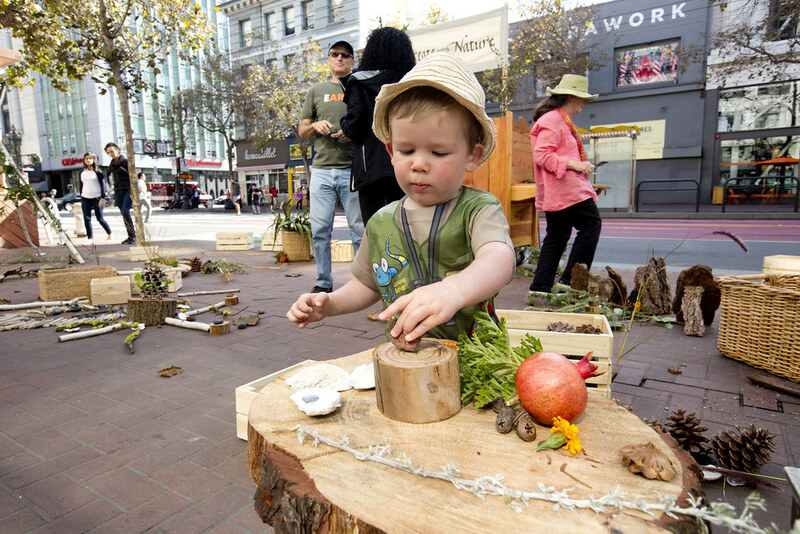 Alienation from each other and from the natural world affects social, emotional, and physical well-being. 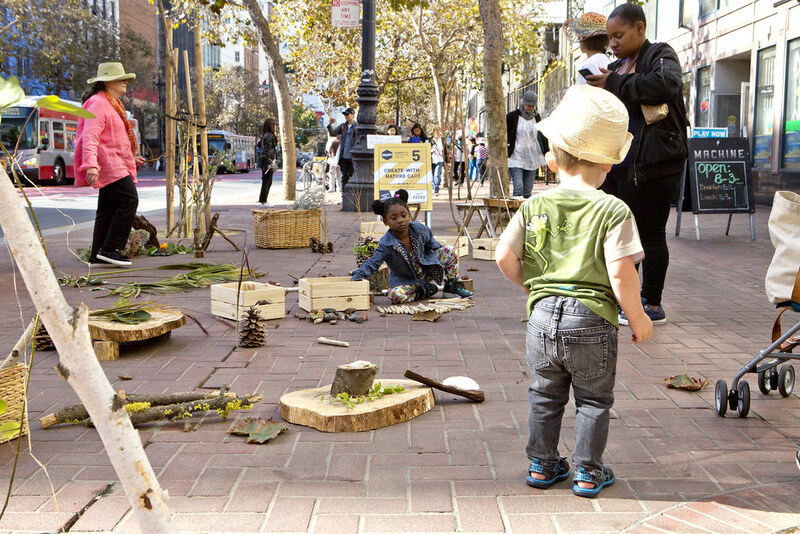 Our formula for a unique and powerful experience of community engagement begins with the human desires to create and to connect with each other – we add a simple catalyst, the appeal of the texture and beauty of natural elements that humans instinctively respond to. 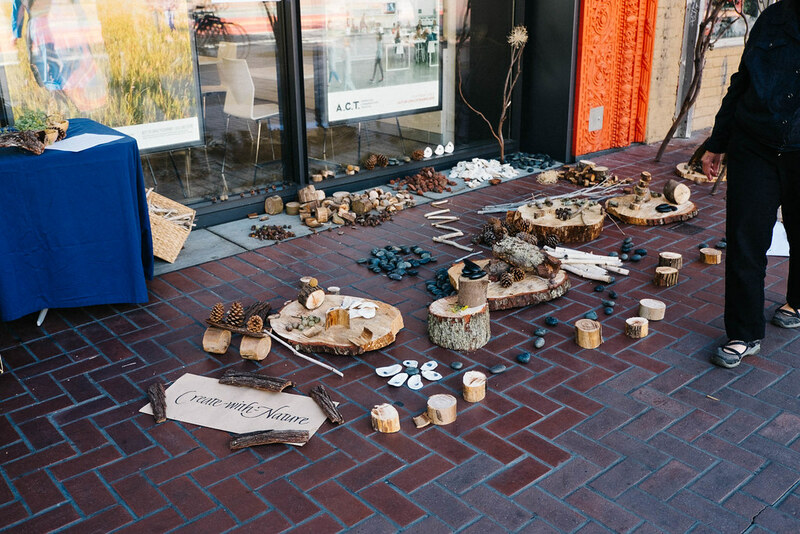 Our team has over 50 years combined experience in connecting people with each other and the natural world. 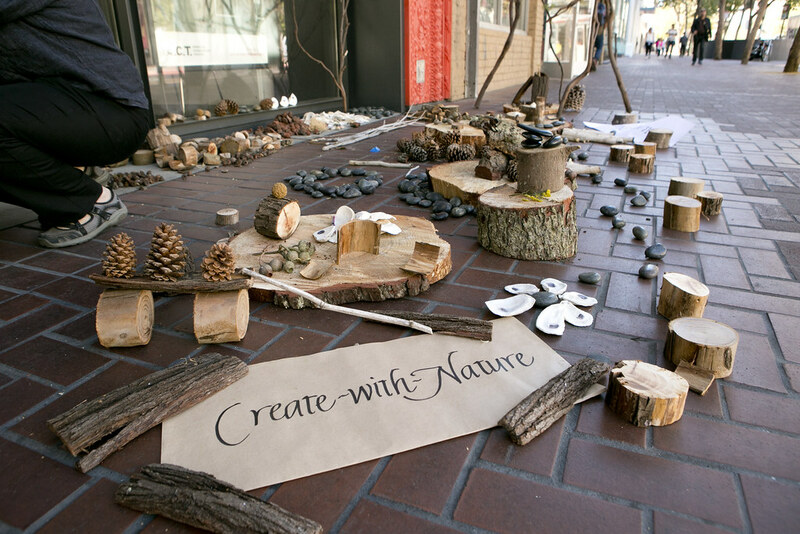 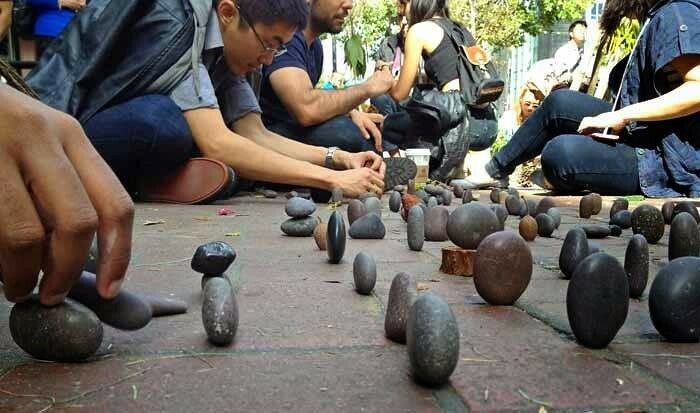 We supplied no special signage or complicated instructions: we noticed that even among participants with no spoken language in common, the language of collaborative creativity and enjoyment of the natural world was being spoken clearly. 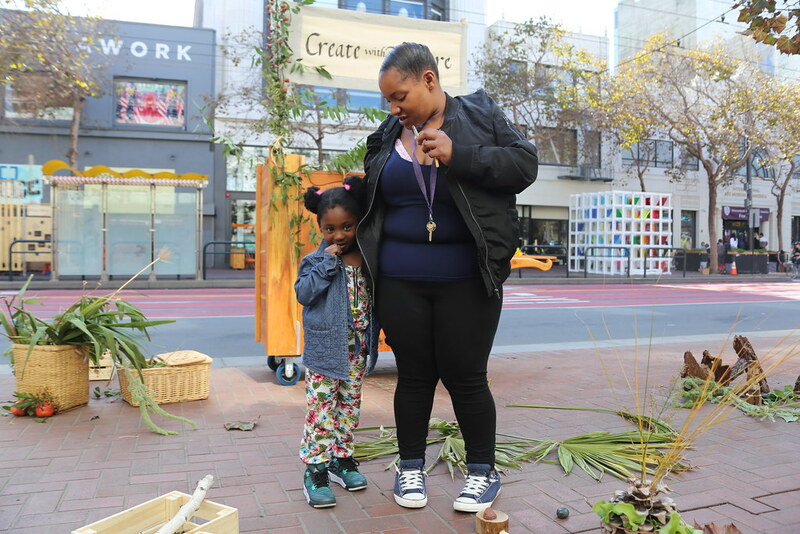 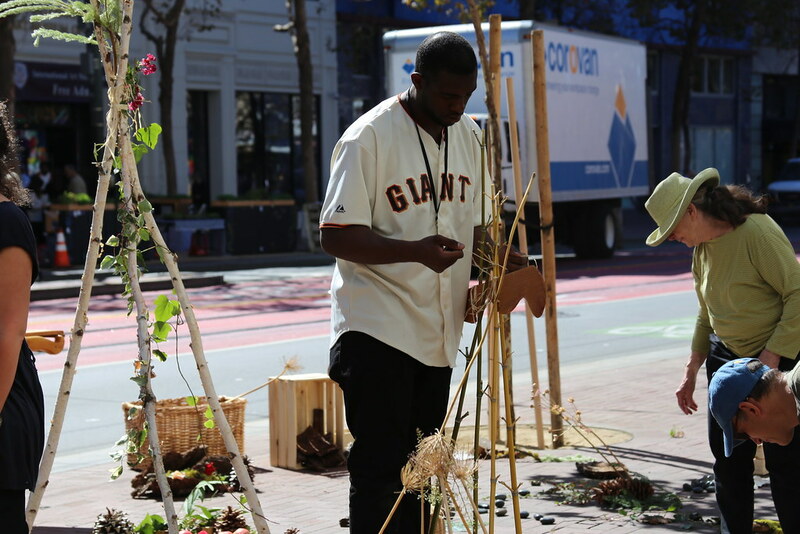 For the 2016 MSPF, we will bring our work into a phase where it is a sustainable asset to the community, and integrated into the fabric of the neighborhood. 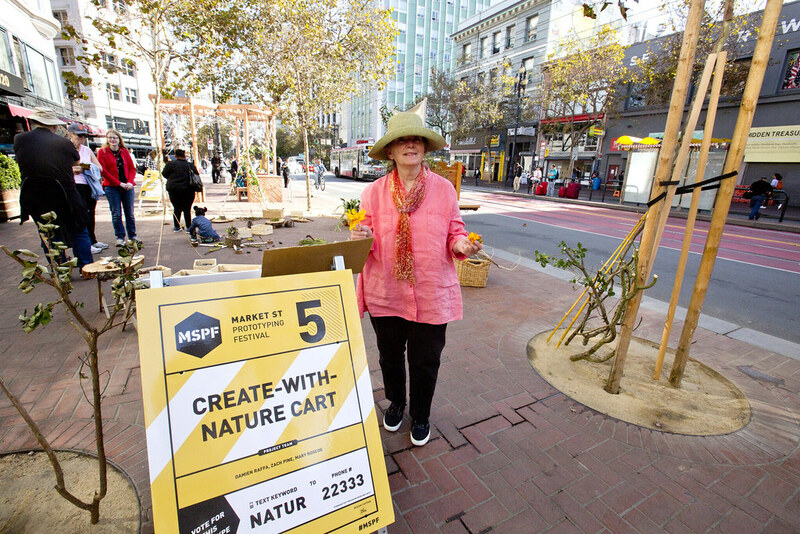 We will design and construct a specialized Create-With-Nature Cart that can be used to store materials and to provide a structural anchor for a Create-With-Nature Zone, including a table-top surface for universal access by people with and without mobility limitations. 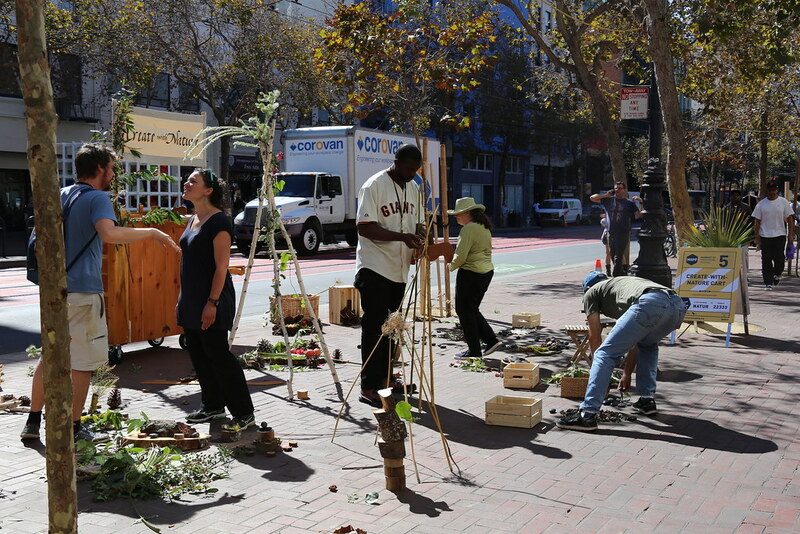 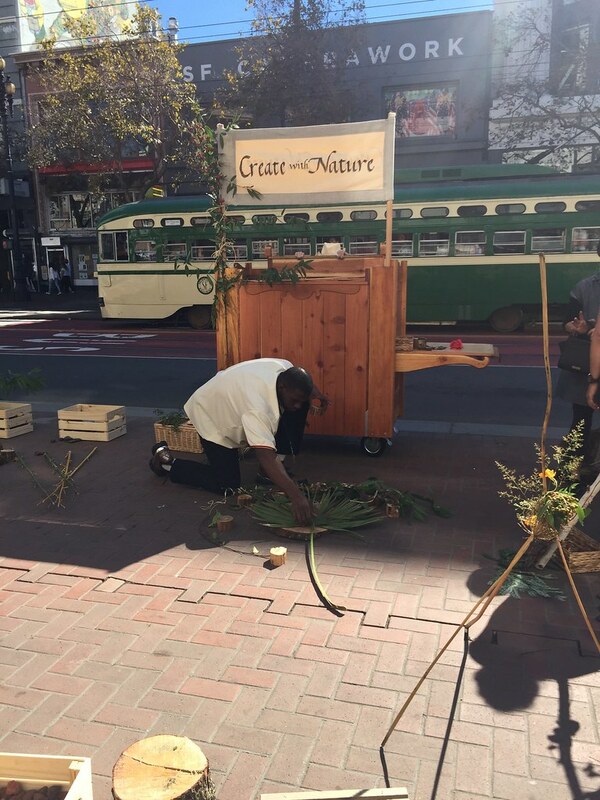 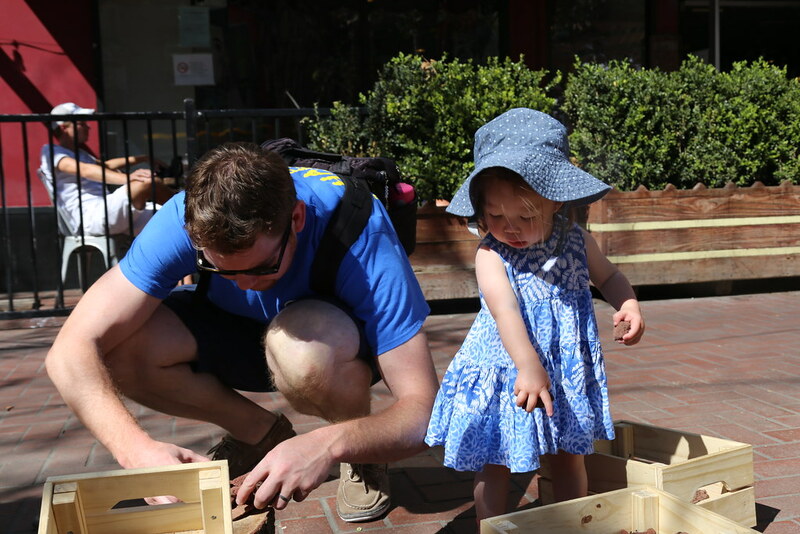 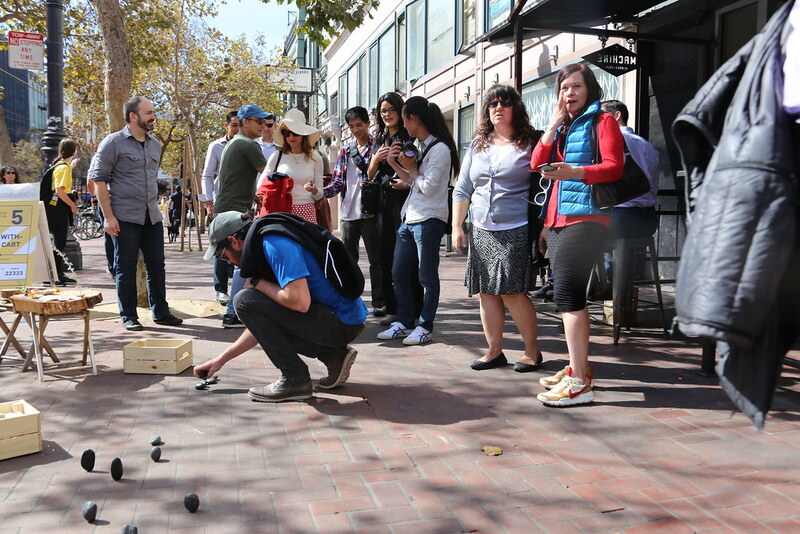 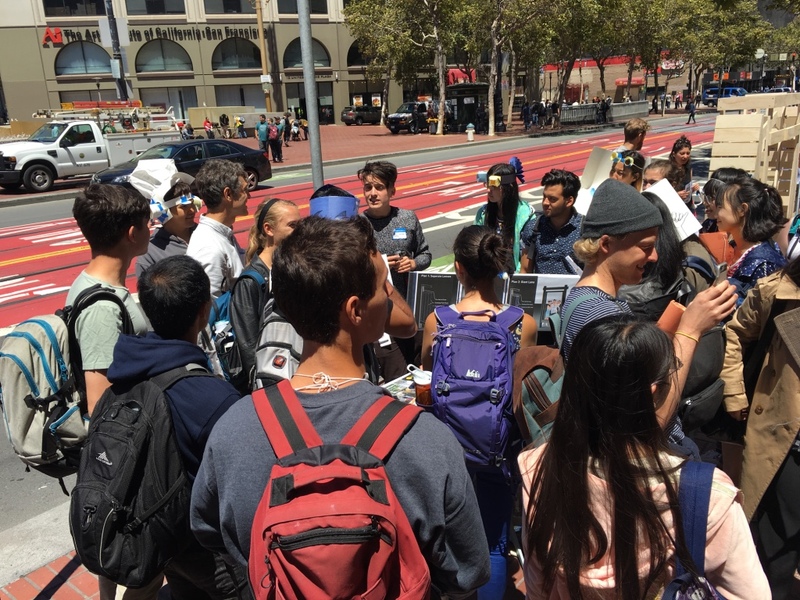 We’ll deploy the Create-With-Nature Cart on Market Street during the three days of the festival, and also provide hands on-training for staff from our community partner who can then use the cart after the festival is finished.